Whenever a new platform emerges, it’s always interesting to see how developers jump onto the opportunity. 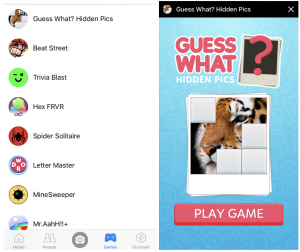 Instant Games – Facebook’s new developer platform for games on messenger and News Feed – isn’t like most new platform transitions, so for most, this meant a more cautious approach. For one, messenger games are built on HTML5. HTML5 as a technology doesn’t have the best track record for creating great games. 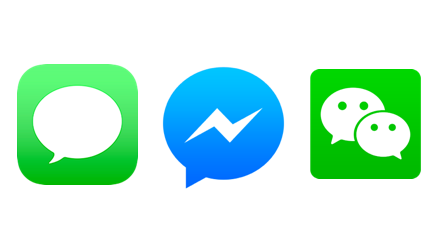 Messenger also isn’t necessarily a new platform either – more like a platform within a platform. The platform comes with challenges that come with working within Apple and Google’s ecosystems. Roll a year on, however, and the platform is showing signs of strength. 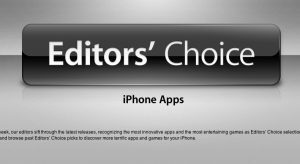 Games are getting massive growth, developers have competitive eCPMs for advertising, and there is promise of in-app purchases coming in the future. Facebook Messenger continues to grow in user base numbers, reaching more than 1.3 billion monthly users in late 2017. Looking at public user base data that is surfaced on the splash screen for games that load in messenger, the top 10 games have between 3 million and 10 million players. Growth has been unprecedented. A game “Snake Mania” grew by 2.2 million players in seven days during February 2018. Messenger is fast becoming a viable platform. However, approaching the messenger platform isn’t the same as mobile design or social web games. Many mobile devs are trying direct ports of their mobile games over to messenger. Some have succeeded with this method (Cut the Rope and Adventure Capitalist) but most have failed. It seems that this isn’t a straight-technical platform change, design needs to change as well. I believe that moving to Instant Games will be a product and design shift similar to what mobile was in 2010-2011. While many of the same gameplay interactions and UX learnings can be applied to Instant Games on messenger (it still is a mobile platform with touch controls), to drive retention on the platform is not a simple port. Re-thinking core loops, progression, interactions from the ground up is necessary to reach the full potential of the platform. This is something that we’ve learned at Chatterbox Games over the last year of developing games for Facebook Instant Games and iMessage – that many of the best practices of mobile don’t apply to messenger games, and to overcome the initial challenges you really have to think about the opportunities that only exist in the messenger context. Thinking messenger is a marketing channel is commonly how many mobile game developers will approach the platform. I don’t blame them – mobile is a highly competitive battlefield and developers are desperate for any leg up they can for getting installs. However, developers who think messenger games are a free place to get new players are mistaken. While messenger games can gain insane levels of growth, they are all limited to playing within messenger itself. Facebook has worked aggressively to build Instant Games on messenger as a platform on its own. 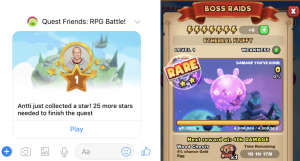 One of Facebook goals is most likely to drive increased engagement within messenger, not drive players into your games, so attempting to use the platform to pull players away from the platform won’t work – nor will you need to. Games can work and be profitable as its own business unit, so why fight against it? That being said, Instant Games can be used for branding. Nordeus and ZeptoLab have done a great job at this; Golden Boot by Nordeus has Top Eleven branding all over the game, but does not directly link to the game or push players outside the platform, while ZeptoLab’s Cut the Rope Instant re-creates the same feeling of playing a native mobile version. 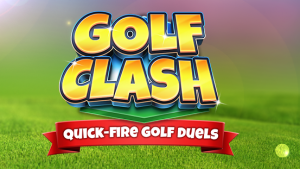 This can drive organic installs to their mobile game, but regardless both of these games have a substantial user base on Instant Games and can build a business case on its own. Branding has its benefits, but revenue generating games are always better. If messenger is not an acquisition channel, then the games built for it have to stand on its own in terms of retention and monetization. It’s possible, but only if you think critically of how retention can be sustained within a chat app. As we’ve mentioned before, retention on messenger platforms is lower than native mobile – indeed it’s more similar to Facebook canvas than it is to native mobile. This is intuitive: Most users are going into messenger to chat with their friends, not to play games. Messenger games don’t install to your phone – there’s no icon on the home screen, no push notifications, no red dots to let you know when to come back. 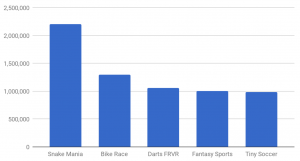 Messenger games have to drive retention in other ways. Retention instead has to come from what’s unique about the platform: social interactions. Retention is driven by friends pulling you back to play against them, or working together. On native mobile, Facebook adoption has become tougher. Most developers would rather push players to play in guilds with other active players than real friends, yet knowing from launching countless mobile games in the past, players that connect to Facebook and actively play with friends retain far better. With messenger, this social connection is no longer an option – Facebook connection is a natural part of the user experience. Right from the start you have access to friends that are playing the game, displaying them in a leaderboard, challenging them, gifting them. 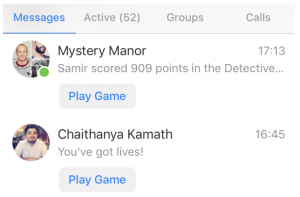 Messenger’s first priority is still to be a chat app, so real estate for games isn’t limitless. In order to have a path to your game and retain players, you have to fight to stay relevant in a player’s chat application. Facebook has the games tab along the bottom for finding new games to play, but to retain players you’re going to have to go farther than that. Social contexts are chats with friends or groups which your game is relevant to the conversation. You can see from the image above, in both a group chat and a one-on-one conversation, a player has posted to this chat and now there’s a clear call to action to start the game. However, bot channels can quickly become spammy, and Facebook is very restrictive over how often games can send messages. If players don’t engage with your bot, it will quickly drop off their messenger home page. If players don’t want to be bugged by your game, muting the channel is a quick button press away. Facebook has learned from their early gaming days to prevent game developers from ruining the user experience of their platform. How do you design games that can naturally stay relevant in both friend’s chats and group’s? How do you design mechanics so that bots that aren’t spam and remain relevant to players? How does the design of your games make the bot and social contexts compelling to return? 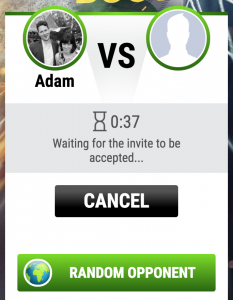 These aren’t normal design problems for a native mobile game. The best games on the platform will attempt to create the strongest social interactions. This will both be great for the game’s virality and their retention, so let’s just push players to spam their friends in order to play, right? However, this isn’t really leveraging the platform for what it does best, and isn’t sustainable. What has stood out as new to messenger games are group chat dynamics: a game pushes players to engage with their group chats: working together to solve a problem or competing against each other. The strongest implementation of social interactions are “group raids” – the idea that you can start a challenging level that can be only completed if you work together with others in a group chat. The more powerful the members are, the more difficult the challenge you can complete, and the bigger the rewards. This system allows players of all progress levels to work together, prod each other to play more, and feel rewarding to play with friends. However, this is limited to games that can give a similar depth of rewards as an RPG game, not all games can work with a system like this. Other games attempt to use turn-based gameplay. That after each turn a player would send you their move. We’ve attempted a couple times last year to focus on turn-based interactions with your friends in messenger games, but we found it isn’t the best for retention. The key reason: if players can’t keep playing because they’re waiting for friends, they will leave the game. In the same way that “Words with Friends” or “Draw Something” from native mobile were interesting only while your friends played the game, as soon as your friends stopped responding, you had no reason to come back. Some games have gotten this to work (8 Ball Pool by Miniclip and Words with Friends), but these were launched very early on the platform and have sustained a large critical mass of players. New developers to messenger will have a harder time to reach that critical mass. For some games, to solve this means adding more modes where you can play against strangers as well. When looking at Golden Boot from Nordeus, this most likely drove a lot of its success. You can match with strangers when friends aren’t active. In the case of Snake Mania, the top growing game mentioned above, focuses solely on playing with strangers. However, I believe this starts to water down what separates messenger games from native mobile games. 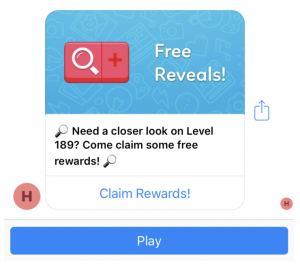 While this is currently working – by mimicking what is already retaining well on native mobile – the future for messenger games will do a better job of integrating social interactions with friends. Making playing with your friends the optimal way to progress. As discoverability becomes an issue on the platform, developers will need to rely more heavily on social contexts to drive retention and installs. Games that are able to integrate social interactions smartly will be the winners. Instant Games are still in their infancy, but the marketplace is maturing very quickly. Within a year, there already has been big shifts in what games work on the platform. Many games that were big on the platform a year ago are no longer (Galaga, Space Invaders, PAC-Man), and plenty of new hits have moved up the charts within the last months (Snake Mania, Cookie Crush). This isn’t about UA for your mobile game: Instant Games is a platform on its own and can be a viable business model. Work with the platform holders and build an audience on messenger, don’t think of it as a new way to acquire users. Retention isn’t easy: Without the install, its hard to stay relevant to your players. You have to stay on the player’s mind and drive social interactions to stay relevant. Design for a useful Bot & a variety of Social Channels: Bots and social contexts are the only way to drive players back to your game, so create lots of ways your friends can work together and ensure your bot stays useful. Don’t let social interactions get in the way of engagement: While social interactions are useful for pulling players back, don’t use social interactions to pace players. Don’t make players wait for their friends to play the game. Social interactions between friends is where to focus: Despite many games success so far focusing on strangers, as the platform becomes more competitive the area to focus will be on strong social interactions between friends. This channel will drive sustained retention and engagement. I’m really looking forward to the year ahead for messaging games – it’s going to be a wild one. 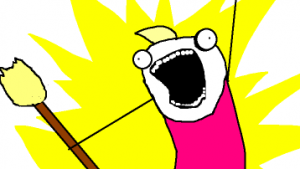 I can assure you one thing for those who are building messenger games: It won’t be boring.